Chris is a construction documentation and data management professional with 30 years experience in the construction industry. This experience includes both design documentation and specialist IS roles with more than 15 years working in the information and data management field. Supported with a range of qualifications in both fields, including a Master of Information Systems, from Swinburne, Chris knows the challenges that face the data rich construction value chain and is working at both a business and industry level to provide the solutions that reduce inefficiency and increase productivity and value. 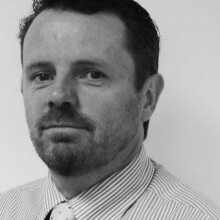 Chris is a Director of Building Data Consultants and a founding committee member of MelBIM. He has presented on multiple occasions at Revic and the Revit Technology Conference and was a major contributor / co-author for one of the “BIM in Practice” series of practice notes for the Australian Institute of Architects and Consult Australia. Success in today’s AEC industry relies on the management of data. BDC aims to provide services that support the gathering, formatting and movement of data throughout the project life cycle. To this end skills in Business and Project Management, BIM Systems Implementation and Management, Document Management and Quality Management are among some of our key deliverables.